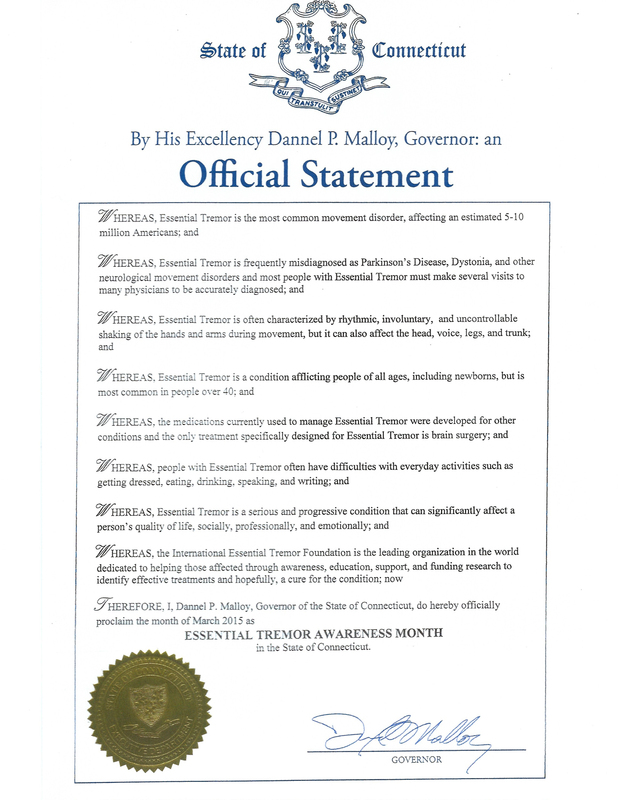 In December 2010, the United States House of Representatives formally passed House Resolution (H.RES.) 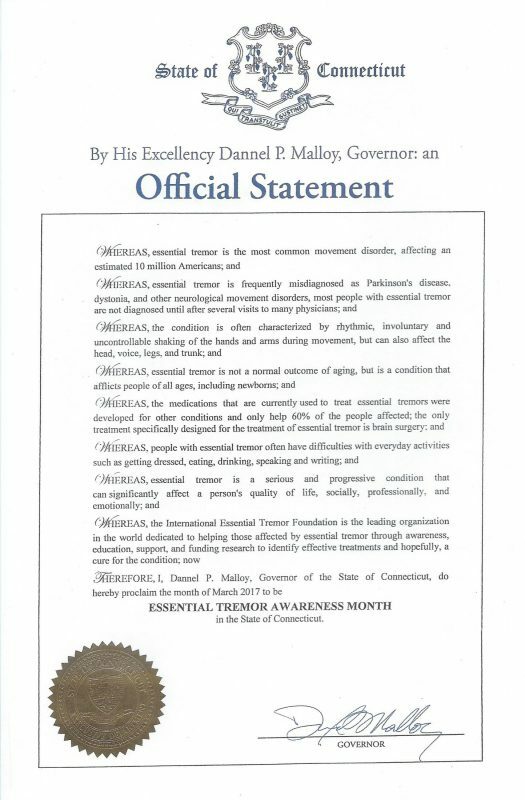 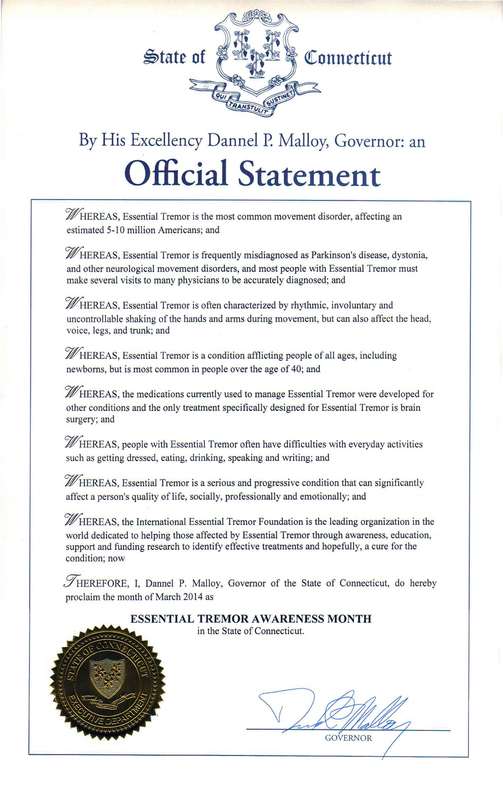 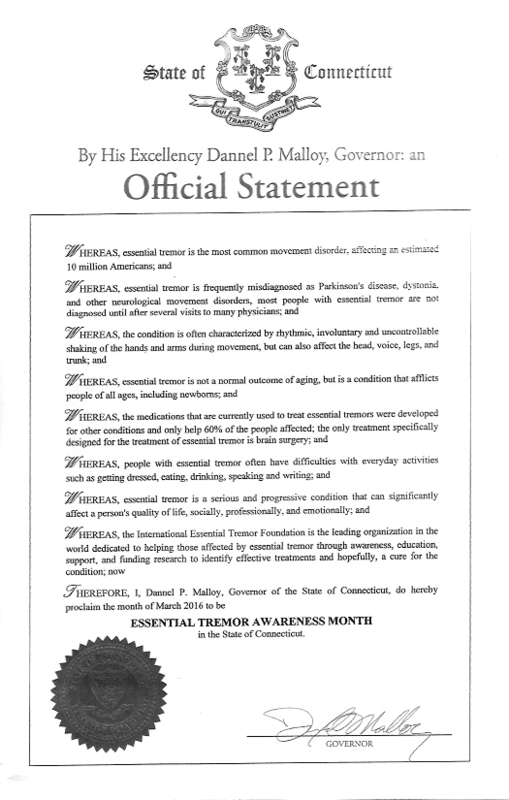 1264 officially designating March as National Essential Tremor Awareness Month. 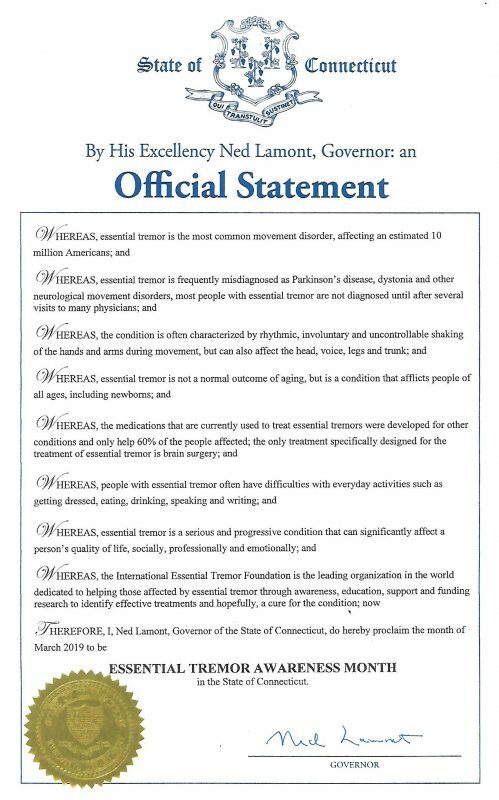 This resolution was cosponsored by a bipartisan group of 56 Representatives.